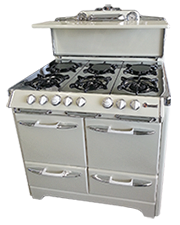 SAVON Appliance has been a family-owned business since the early 1980's. 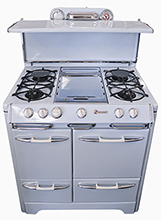 Founded by Emmett Julian, originally from Chicago, Emmett had been in the used appliance business for over 30 years and started SAVON Appliance in Burbank, CA. 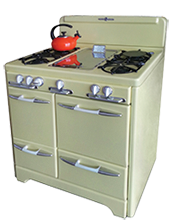 Stop looking around - you have found THE SOURCE for fully restored, classic gas stoves, featuring 1940's and 1950's era Wedgewood and O'Keefe & Merrits! 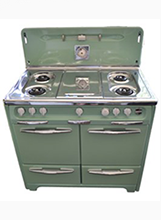 The photos on this site are of actual stoves we have found, purchased and restored. 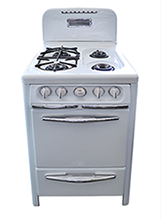 We guarantee all of our appliances and our experianced staff have completely inspected, repaired or restored every stove, refrigerator, washer and dryer. 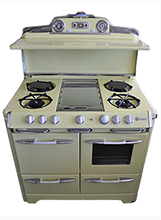 We trade/sell appliances and can give you an estimate over the phone. 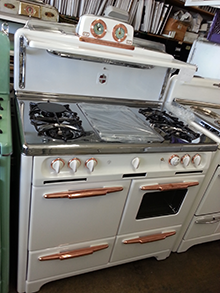 Savon not only sells CLASSIC GAS STOVES but also newer appliances. 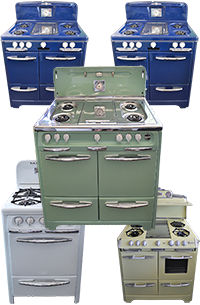 We sell the appliances in a complete range of price, style and color options, from new to late model used (some only a year old), to moderately-prices used to vintage classics. 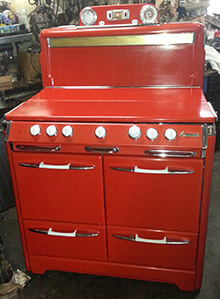 Good prices on reconditioned used appliances plus a super in the know store owner makes this a must stop if you are in the market for an appliance... new or used. The education you get will empower you to make the best choice. We can pick up and deliver locally and help you ship worldwide. 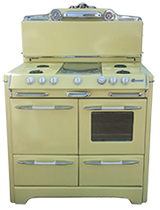 You can call us directly at 818-843-4840 or 818-843-4908, email appliance2925@aol.com, or better yet drop by 7 days a week to view our inventory! 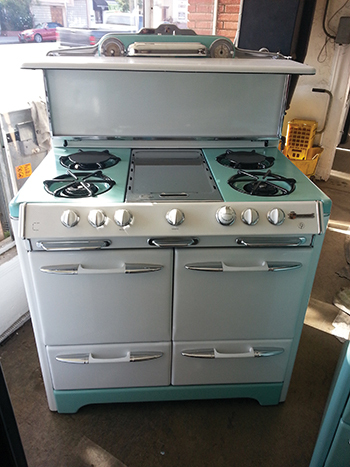 SAVON Appliance is located at 2925 Burbank Blvd. in Burbank, CA (between Hollywood Way and Buena Vista). 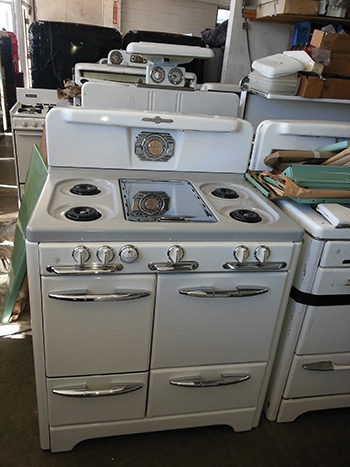 If you are looking for any Appliance (new, used, vintage, etc.) Right on the corner - Right on the price!"